The games industry has yet to solve the problem of videogame streaming. The tragedy of OnLive proved just how difficult an issue it is. The combination of a far higher number of inputs and a much lower tolerance for latency makes game streaming a far more challenging prospect compared to streaming video. If anyone has the resources to tackle the problem, however, it’s Google. And that’s precisely what the company is doing, with the announcement of Project Stream. 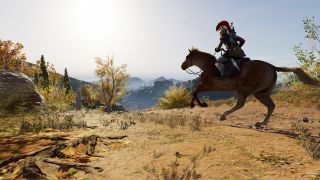 In a blog post, Google described Project Stream as a “technical test” designed to “solve some of the biggest challenges of streaming.” To do this, Google has partnered with Ubisoft to stream Assassin’s Creed Odyssey via the Google Chrome browser to desktops and laptops. Google is currently looking for applicants to help them perform the test. Should you want to take part, you must be over 17 years of age and live in the United States. If you fit that description, you can apply via the Project Stream website. It’s worth noting that Google isn’t the only company which has recently returned to tackle the streaming challenge. Nvidia’s GeForce Now technology is currently in beta testing, while this year Blade launched its Shadow app subscription, which streams a powerful gaming PC directly to your computer (albeit at a hefty $34.95 a month). With Google also getting involved, it would appear that the idea has become more viable since the days of OnLive. You can watch a video of Project Stream in action below.